Advertised for the start of 2019, the first "pilot project" for the reorganisation of french military Maintenance in Operational Condition (MRO) contracts will be launched very soon. During her New Year's message on 21st January, the French Armed Forces Minister Florence Parly announced the notification of a "new look" contract for the French army's Fennec fleet. The project was approved by a ministerial investment committee that same afternoon. "This is a contract which provides for more activity at a lower cost", declared the Minister, who specified that the flying hour should fall by practically half, from 3500 to 1800 Euro. Without prejudging future results, she indicated that "this is proof that our strategy is the right one". Helidax has been selected by the Aeronautical maintenance department (DMAé) to carry out this service. The flying hour contract specifies aircraft provision and support is for an initial ten-year period. The company is indicating that this contract will enable 26 jobs to be created (8 in Dax, 3 in the regiment and 15 at EALAT and the school base) and that annual turnover should increase by 20%. "It's win-win all round", explained General Michel Grintchenko recently, the commander of ALAT. "I buy a certain number of flying hours and I keep the human resources which should be carrying out maintenance to distribute them over other fleets", he continued, in order to support MOC activity on aircraft which are considered "more critical" like the Tigre or NH90, for example. The general is hoping to see the first effects this summer. The ALAT's Fennec fleet is made up of 18 aircraft, which are used in particular for IFR training for future crews. Outsourcing support has been made easier by the fact that the helicopters are not equipped with weapons systems. The operation would be much more complex to carry out on Gazelle-type fleets for example - an option which is not on the table at any rate. Among the other options considered is the outsourcing of support for Super Puma helicopters. 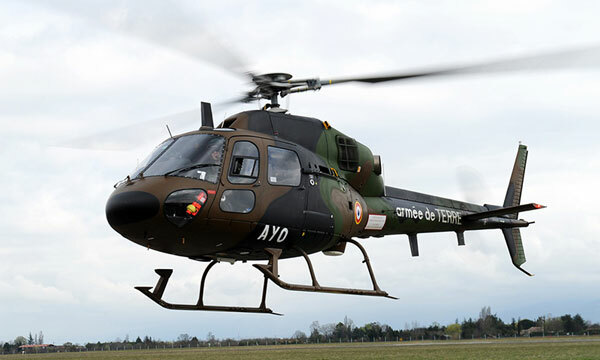 Made official in December 2017 and presented as "the priority of priorities", the aviation maintenance reform launched by Florence Parly provides for a certain number of measures to improve the availability rates for fixed and rotary wing aircraft of the three branches of the armed forces. Among the areas for improvement is the famous "verticalisation" of maintenance contracts, which provides for a reduction in the number of contracts signed for a single fleet, the designation of a single contact, an industrial project manager to make the processes smoother and the increase in the number of global support package contracts (GSP). The first concrete measures are being taken on certain helicopter fleets. The current cases related to the Super Puma VIPs, the Dauphins based in Polynesia or the Cougars - for which co-contracting with Héli-Union is being considered. The Armed Forces Minister also wants to "convert this success for more complex equipment". Training starts for the ALAT "BAC pro aero"